Istanbul (CNN) — A court in Turkey’s capital, Ankara, lifted a ban on the YouTube video sharing website Friday, the semiofficial Anadolu news agency reported. The ruling came a day after Prime Minister Recep Tayyip Erdogan’s office said Turkey’s ban on the social media service Twitter had been lifted. 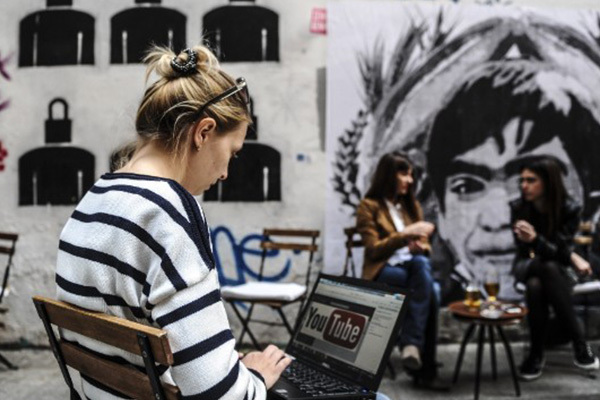 Ankara’s Golbasi Court opted Friday to lift its March 27 ruling that barred access to all YouTube content, Anadolu reported, but decided to continue a block on 15 specific YouTube links. In its ruling, the court said that blocking access to the website was contrary to fundamental rights and freedom of expression, the news agency said. It’s not clear how soon the ruling will come into effect. Access to YouTube still appeared to be blocked for Turkish users Friday. The restoration of Twitter came after Turkey’s Constitutional Court ruled Wednesday that the ban violated the right to free expression and demanded that citizens’ access to the popular microblogging service be restored. Several Twitter users told CNN on Thursday that the social media service was now functional inside the country. Disruption to the service began hours after Erdogan threatened to “eradicate” Twitter at a campaign rally on March 20, blaming social media for fueling anti-government rhetoric. The YouTube ban was imposed less than a week later. Turks went to the polls in nationwide municipal elections Sunday. The Turkish government said its YouTube block was a response to the leak of a conversation between top government officials purportedly discussing the possibility of going to war with neighboring Syria. Turkey’s top media regulating agency announced a similar ban on the broadcast of the conversation to television and radio channels. Members of Turkey’s political elite have been battered by a campaign of wiretap leaks recorded by unknown operatives and distributed daily on the Internet for more than a month. Until the purported Syria-related leak, all of the wiretaps seemed to be recordings of phone conversations among Erdogan, his inner circle, government officials and top corporate executives. Erdogan, of the ruling Justice and Development Party, has called some recordings “immorally edited material,” including a conversation in which a man who sounds like the Prime Minister purportedly instructs his son to hide tens of millions of dollars in cash from police investigators. But he has also confirmed the authenticity of other wiretaps, in which he is heard instructing the head of a major television news network to cut short the live broadcast of a rival politician’s speech in parliament. Turkey’s government has accused social media platforms, including Twitter and Facebook, of being used to spread false information and lies.